Bill Weir, CNN Anchor's Overlooked Married Life & Family With Wife Unveiled! Home » Celebs » Bill Weir, CNN Anchor's Overlooked Married Life & Family With Wife Unveiled! Television news correspondent Bill Weir was rumored to be gay at some part of his life, but people were awestruck after knowing about the secret private family, he held so tightly under his skin. The American television presenter is a well-known face in television and one of the most renowned hosts on television. He is popular as the host and executive producer of the CNN Original Series The Wonder List. 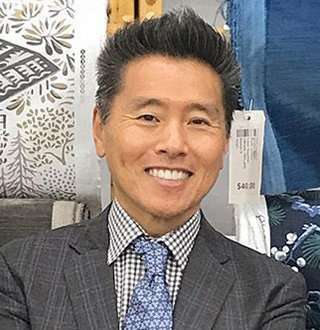 Previously he had served as the co-host of the show Nightline on ABC Network, and he also co-hosted the weekend episodes of Good Morning America since 2004 through 2010. The former ABC host is now working as a news correspondent on CNN covering stories and bringing news at the doorsteps of viewers of America. The Milwaukee native who stands at the height of 5 feet 10 inches (1.78m), was born on 19 December 1967 in Milwaukee, Wisconsin, USA. No information regarding his parents and family is available, as Bill is very private in his family affairs and keeps things to himself. About his education, he graduated in journalism and creative writing from Pepperdine University in Malibu, California. The CNN star aged 51, started his career as a general assignment reporter and weekend sportscaster for KAAL in Austin, Minnesota in 1991. 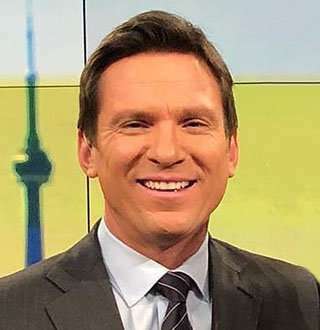 A breakthrough in Bill Weir’s career came when he joined ABC News in 2004 as a news correspondent for the show Good Morning America. During his time, he covered many important events such as the economic rise of China, Hurricane Katrina, launches of space shuttles and many more. He also worked as the anchor of ABC News magazine iCaught and in August 2010, he co-anchored the show Nightline on ABC. After ABC, he moved to CNN in 2015 and has since hosted the CNN primetime show The Wonder List with Bill Weir. Being a host of a highly popular show, he has a salary of around $750,000, and with all his years on TV, he has amassed a hefty net worth of $3 million. In this age of the internet, where keyboard warriors reign supreme, it has become almost mandatory for a celebrity who keeps things private and makes no public appearance with his partner to be rumored as gay. Bill Weir was no exception to this, and his flood of tweets about gay people made it harder for him to escape the rumors of being gay. Weir, however, is not gay but a master in hiding, who has some other secrets that he hides so easily within his skin. Is Bill Weir Married? Wife? A quick glance through his Instagram and the secrets about Bill's life is for all to see. Defying all public claims of being a gay, Bill has a daughter named Olivia Weir, pictures of whom he frequently shares on his Instagram. Several wiki sites have quoted he was previously married and his wife's name to be Angela Weir. The fact that Bill and Angela attended the SCENARIOS USA 2010 Awards together substantiates the claims. Moreover, his alleged wife's bio on Twitter reads "Manhattan Mother, Brooklyn Lawyer" which hints at having a daughter and married life. However, even if the couple was once married, they now have been long time divorced. Since I was only trapped for about 20 min, it's a bit disappointing that learn my wife has remarried. With a beautiful daughter and a progressive career by his side, Bill Weir has nothing to worry about and is having the time of his life. 'Dual Surviver' Matt Graham Married & Wife | Who Is She? Brian Fichera Bio: Who Is Dylan Dreyer Husband & What's His Job & Salary?